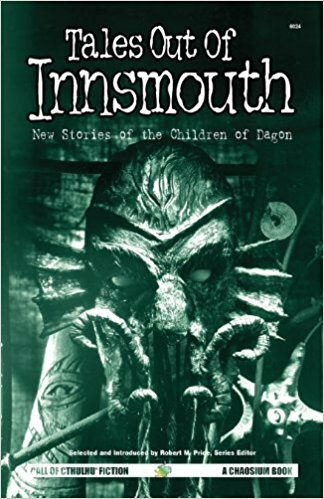 Everybody knows (or should know) the story of sixteen year old Ramsey Campbell submitting stories set in Lovecraft Country to August Derleth. 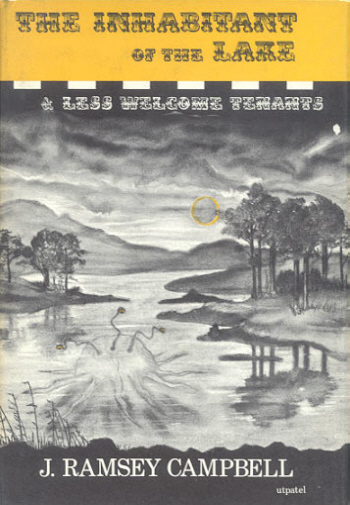 Derleth sent them back suggesting he set them in his native England instead of alien New England. Thus Campbell's Sevren Valley was born. Instead of Arkham there's Brichester, for Innsmouth there's Goatswood, and for Kingsport, Temphill. 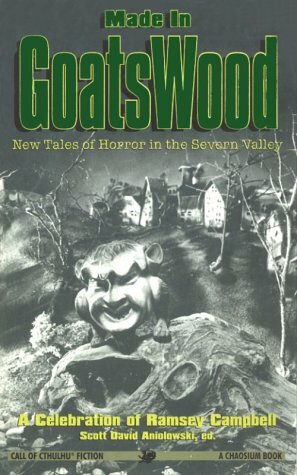 The Chaosium published tribute to Campbell's Mythos fiction, Made in Goatswood has none of his early stories. 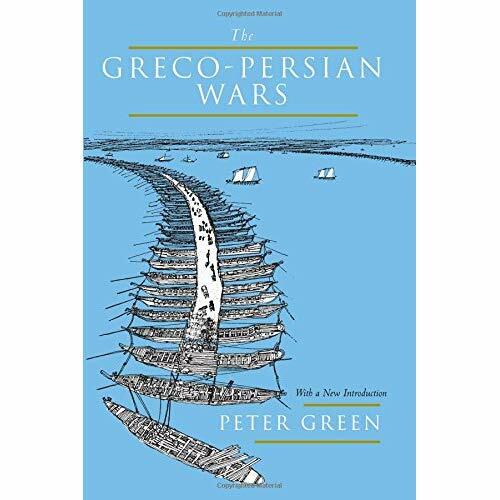 I decided, in that case, I had better go and read them, first, for the fun of it, and then to get a better feel for what the collection authors' were hoping to emulate and memorialize. 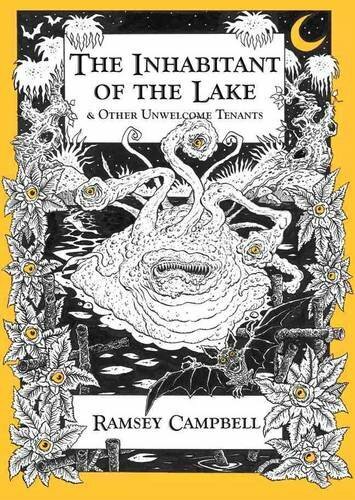 So, I'm also reading the latest edition of Campbell's first book, The Inhabitant of the Lake and Less Welcome Tenants. 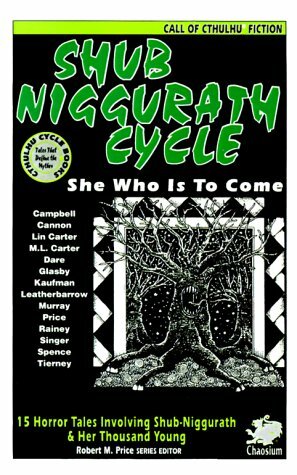 The edition I have (2013, Drugstore Indian Press) includes an introduction by Campbell and his early correspondence with August Derleth. 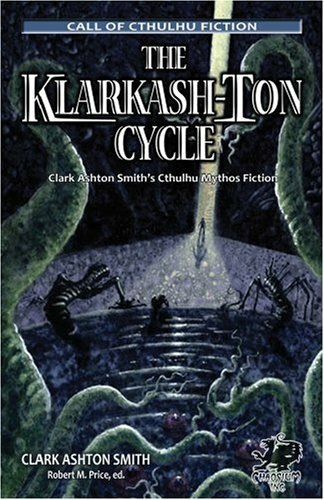 It's fun thinking of Derleth doing what Lovecraft did for him for Campbell. 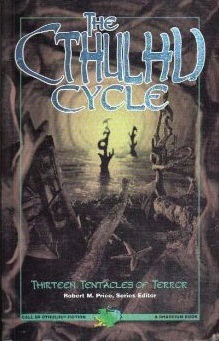 Derleth offered many suggestions that led to Campbell creating his own English setting and new deities for Mythos-inspired fiction. 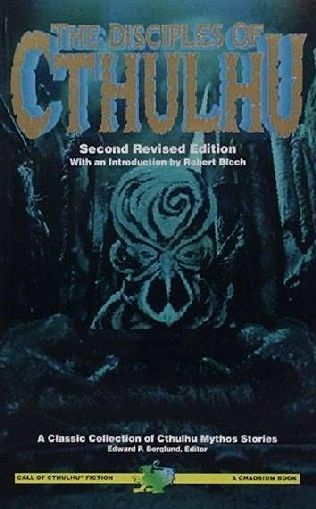 It's interesting to look at how Campbell turned out - one of the most important and revered horror writers - versus how Derleth did - a poor Mythos writer, but a solid editor. 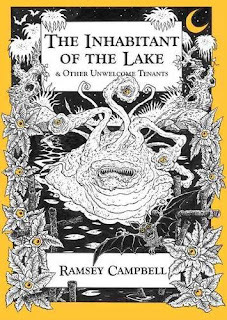 If you haven't read Campbell's pastiches, they're clunky and more about monsters than atmosphere. Nonetheless, they are a bunch of fun. 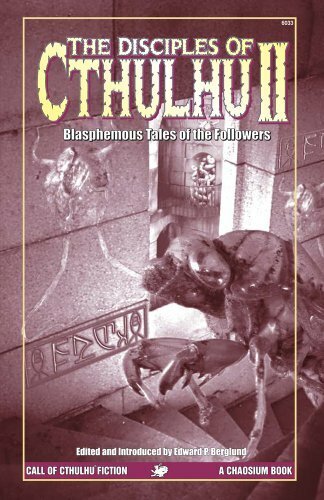 Some are only echoes of stories by HPL, but in others you can already sense his eventual predilection for grotty, urban unease forming. 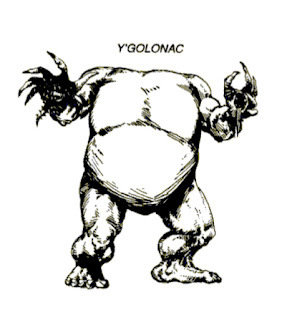 The best thing about them, though, has to be the monsters. They're more intimate than HPL's critters, and what they do to their victims more personal. 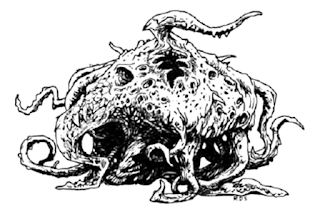 Where Cthulhu or Yog-Sothoth's kid just step on you, Gla'aki and Eihort gut you up close and you can feel your life seeping away, torturous moment by torturous moment. 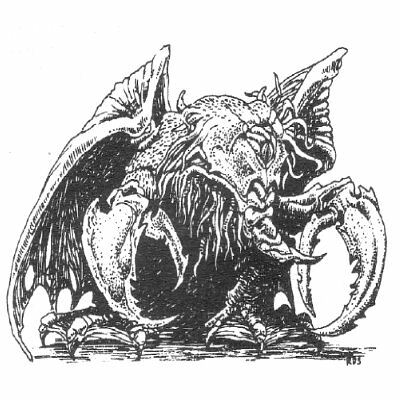 So, today, I give you monster pictures. 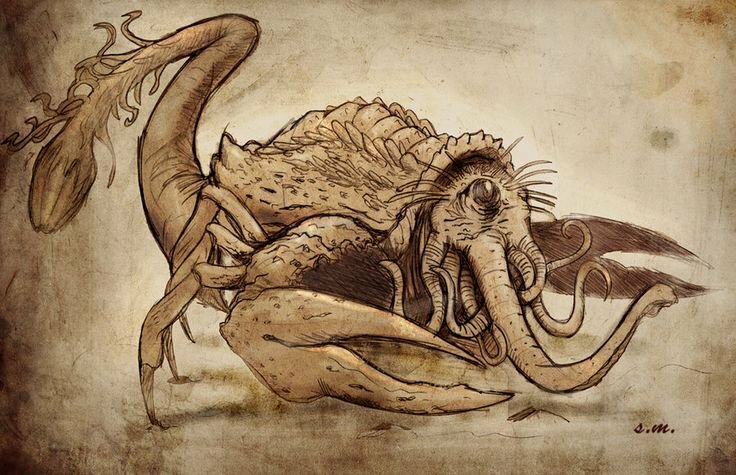 Byatis: "It had but one eye like the Cyclops and had claws like unto a crab. 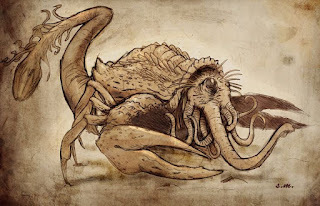 He said also that it had a nose like the elephants...and great serpent-like growths which hung from its face like a beard in the fashion of some sea monster. 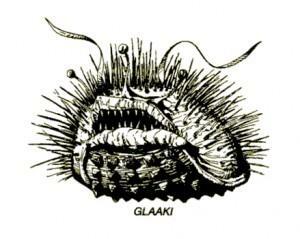 .."
from "The Room in the Castle"
Gla'aki: "The centre of each picture was, it was obvious, the being know as Gla'aki. 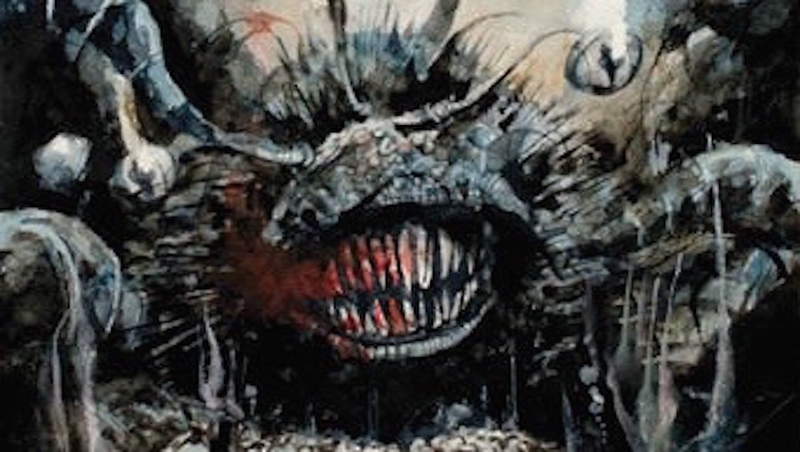 From an oval body protruded countless thin, pointed spines of multicolored metal' at the more rounded end of the oval a circular, thick-lipped mouth formed the centre of a spongy face, from which rose three yellow eyes on thin stalks. Around the underside of the body were many white pyramids, presumably used for locomotion. 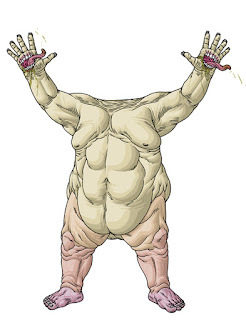 The diameter of the body must have been about ten feet at its least width." 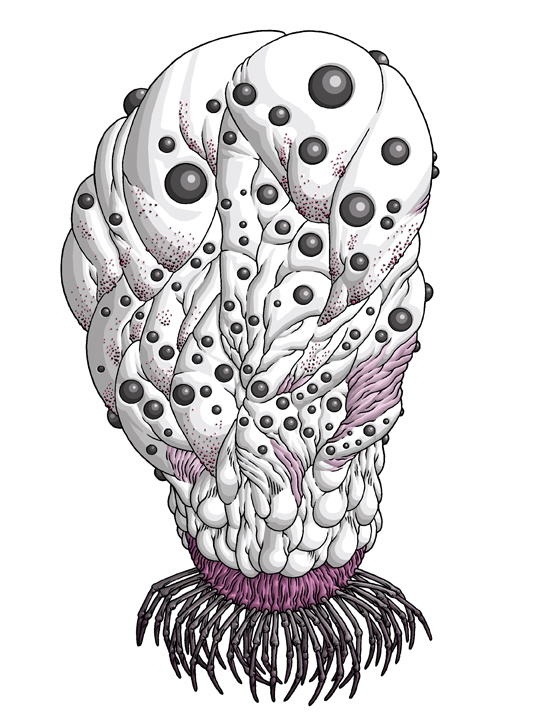 from "The Inhabitant of the Lake"
Eihort: "Then came pale movement in the well, and something clambered up from the dark, a bloated blanched oval supported on myriad fleshless legs. 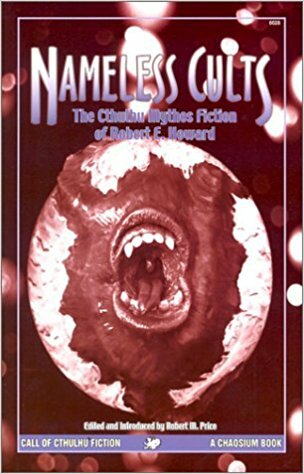 Eyes formed in the gelatinous oval and stared at him." Revelations…but before he could scream out his protest his breath was cut off, as the hands descended on his face and the wet red mouths opened in their palms." 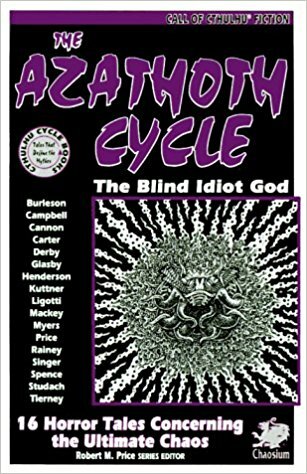 A few weeks back I asked for what A. Merritt book should I start out with. The support everybody gave for their favorite title was equally enthusiastic. 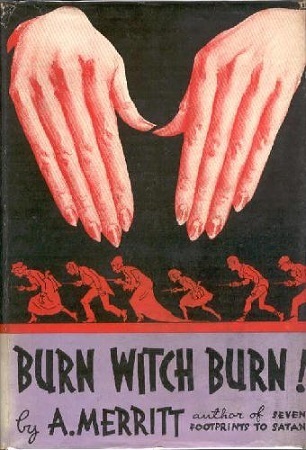 Finally, I settled on Burn, Witch, Burn (1932) because the Appendix N Book Club podcast made it sound insane. I finished it this past week. If you haven't read it, let me say right here that it is. 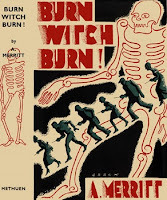 Narrated by Dr. Lowell (not his real name, he tells us), spins a tale of madness and terror in New York City that involves medical experts, gangsters, and, of course, a witch. The witch is a terrifying individual, spiritually and physically. Prepared though I had been for the extraordinary by Walters’ description of the doll-maker, her appearance gave me a distinct shock. Her height, her massiveness, were amplified by the proximity of the dolls and the slender figure of the girl. 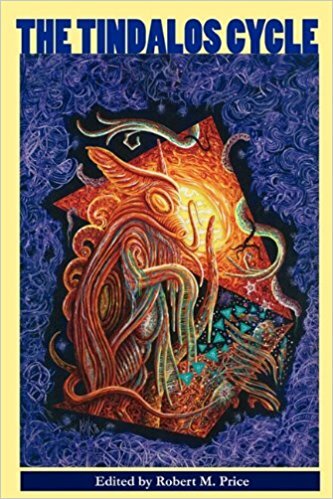 It was a giantess who regarded me from the doorway—a giantess whose heavy face with its broad, high cheek bones, mustached upper lip and thick mouth produced a suggestion of masculinity grotesquely in contrast with the immense bosom. 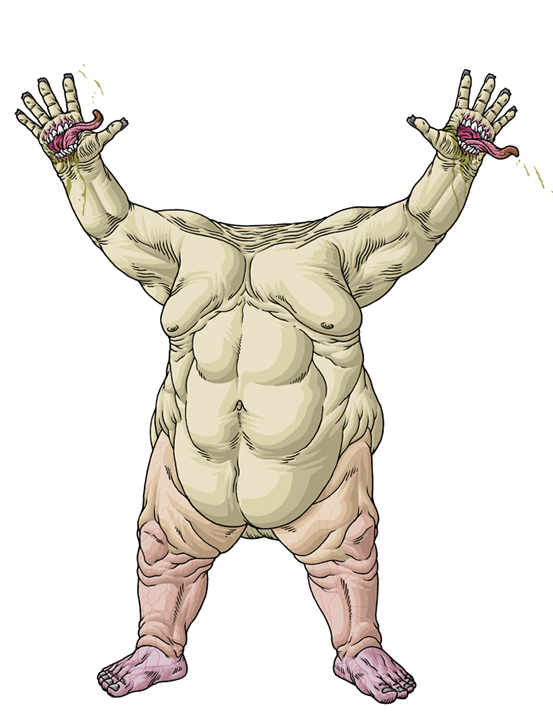 I looked into her eyes and forgot all grotesqueness of face and figure. 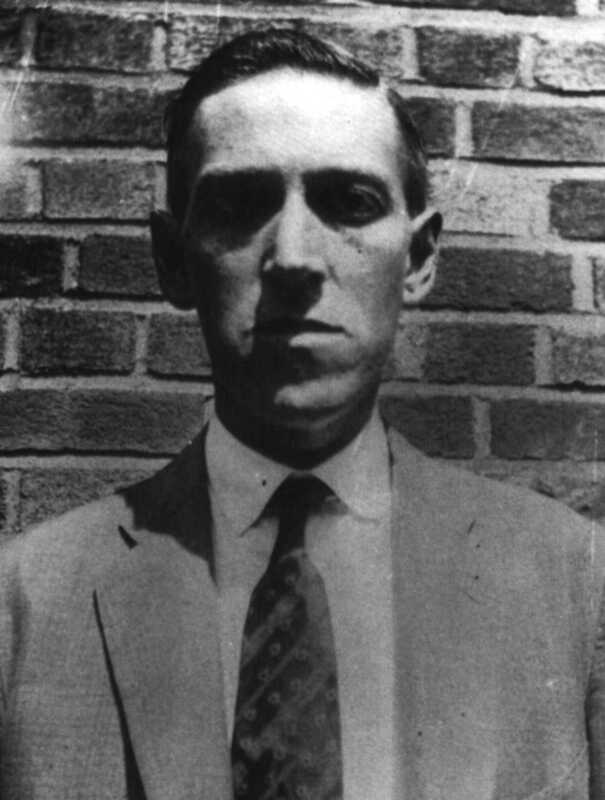 The eyes were enormous, a luminous black, clear, disconcertingly alive. As though they were twin spirits of life, and independent of the body. And from them poured a flood of vitality that sent along my nerves a warm tingle in which there was nothing sinister—or was not then. The vile Madame Mandilip, by means evil and unknown, crafts perfect miniature simulacrum of people she intends to kill. These she then animates and sends out to kill their models. It gets even weirder from there. 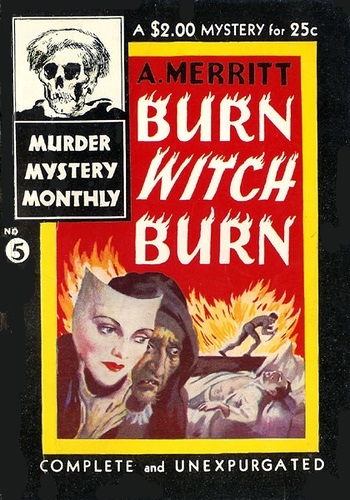 I read somewhere that Merritt wrote with "lush, florid prose," but that wasn't the case in Burn, Witch Burn. However he may have written his other books, that's not the case here. He writes, yes, with occasional overwrought flourishes, but with precision. 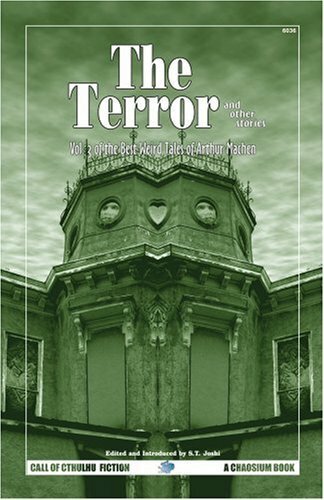 His prose rushes the reader along, winging him deeper and deeper into the story's nightmarish events. 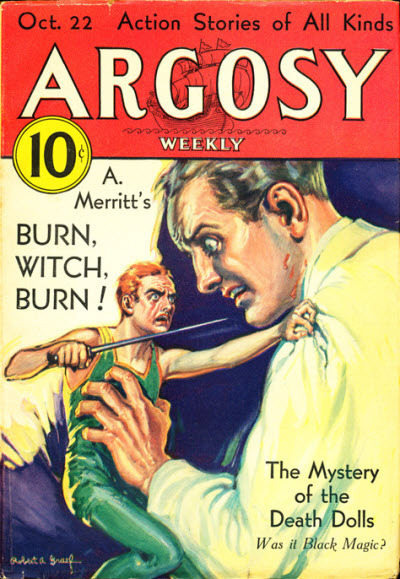 With the nighttime arrival of a patient who seems to be suffering from no known malady, accompanied by his mobster boss, Merritt kicks the book off at full speed. 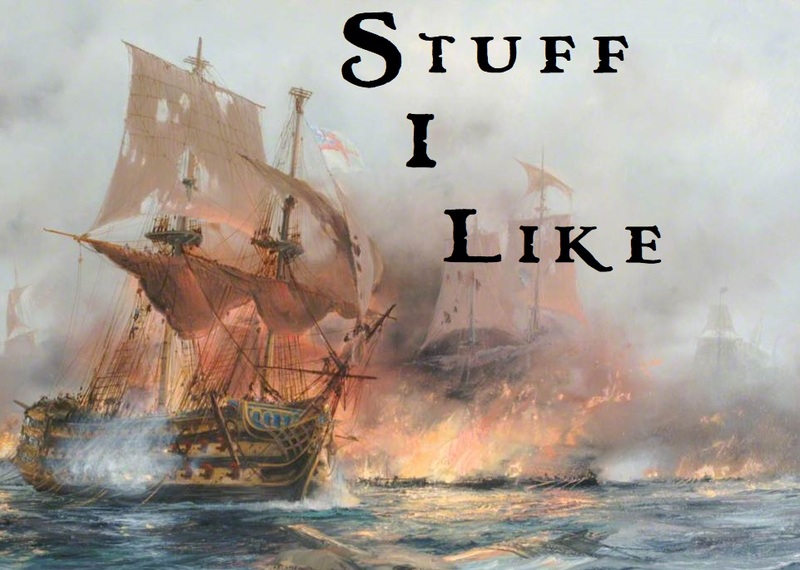 With each ensuing chapter, the tension builds and Lowell and his compatriots' fear increases. Gradually, the action moves from crisp and clinical corridors of Lowell's hospital to the druggy, psychedelic chamber of Madame Mandilip, highlighting the fight between reason and unreason. Slowly the curtain obscuring the villain is raised, until we see her in her full, dark horror. Merritt knew how to grab you by the lapels and keep shaking you with increasing ferocity to the very last page. Serving as a stand in for the reader, Dr. Lowell narrates with an eye to scientific precision. He's the realist among the story's characters, refusing, almost to the end, to believe Madame Mandilip's powers are supernatural. A man of the moder nage, he is unable to accept that sorcery ever existed. 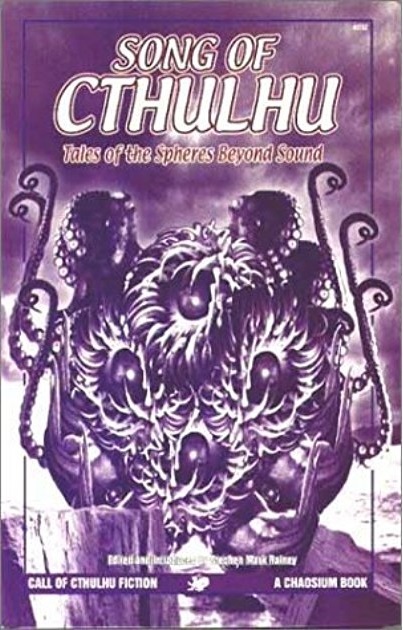 Instead, he insists it is no more than natural phenomenon that is yet unexplained. 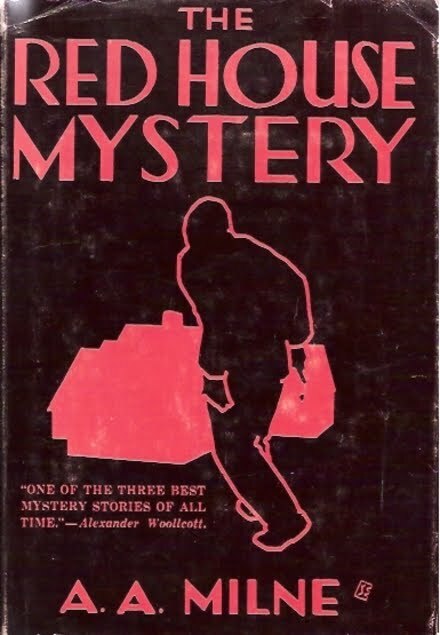 After the body had been taken away, and as I sat waiting for McCann to return, I tried to orient myself to this phantasmagoria through which, it seemed to me, I had been moving for endless time. I tried to divest my mind of all prejudice, all preconceived ideas of what could and could not be. I began by conceding that this Madame Mandilip might possess some wisdom of which modern science is ignorant. I refused to call it witchcraft or sorcery. The words mean nothing, since they have been applied through the ages to entirely natural phenomena whose causes were not understood by the laity. Not so long ago, for example, the lighting of a match was “witchcraft” to many savage tribes. No, Madame Mandilip was no “witch,” as Ricori thought her. She was mistress of some unknown science—that was all. Contrasted with him is Julian Ricori, mob boss and believer in witchcraft; he's also the best of the Burn, Witch, Burn's characters. Merritt has him speak in an odd cadenced way, which I imagine is supposed to imply the cautious precision of a non-native English speaker. I suspect it's meant to be humorous and make Ricori, a notorious criminal, likable. What I like most about Ricori is that whenever Lowell tries to explain away whatever crazy nonsense has just happened, it's the mobster who steps in as the true voice of "reason," insisting that what's going on is supernatural. 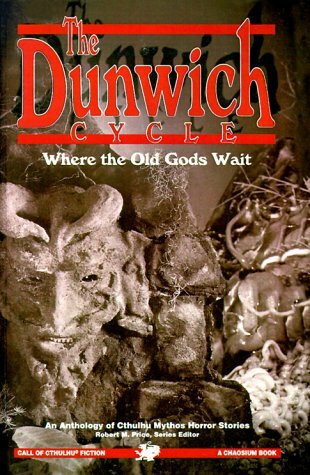 I'm not sure, though, where the modern, slick horror novel got its start. I can't claim Burn, Witch, Burn is the first (Merritt's own Seven Footsteps to Satan was published four years earlier), but it's got to be an early example. 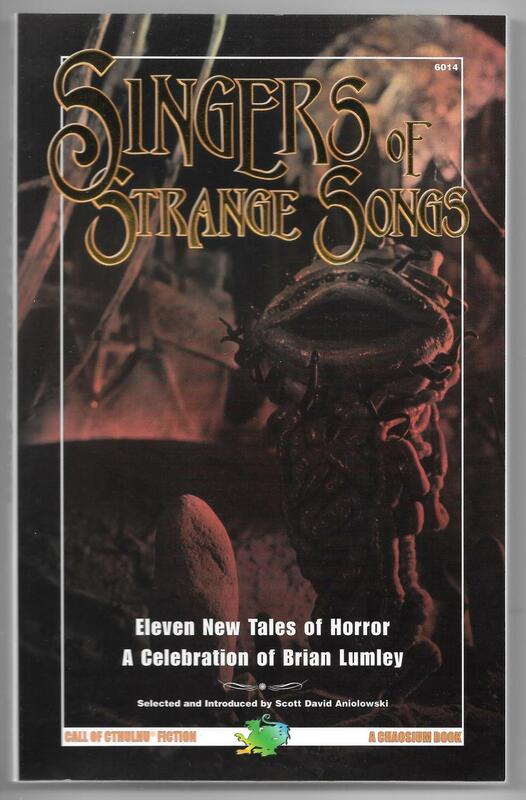 There are none of the Romantic or Gothic trappings of many previous horror novels. It doesn't eliminate atmosphere, but does rely on shock and violence to deliver the frights. 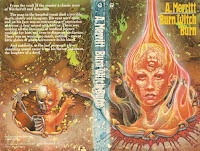 Burn, Witch, Burn is a direct ancestor of the horror novels from the genre mass-market heyday in the seventies and eighties (which remind me, I really must get a copy of Paperbacks from Hell). 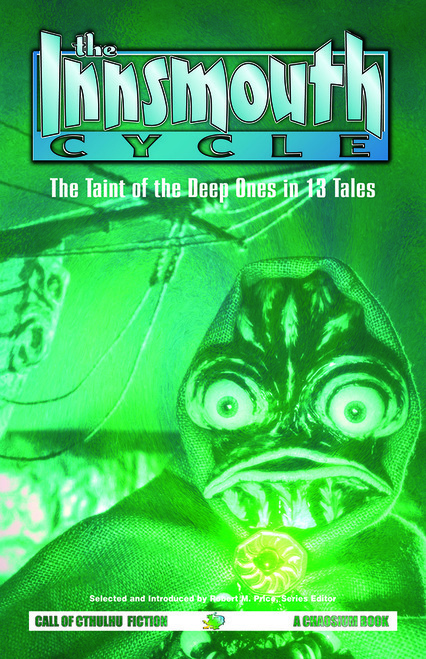 It's got the same sort of mad, lurid plot, and it's in a contemporary setting. It's visceral and doesn't beat around the bush. It gets to the point - MURDEROUS DEVIL DOLLS! - quickly. It's a good reminder that books don't need to be long and bloated to be effective. 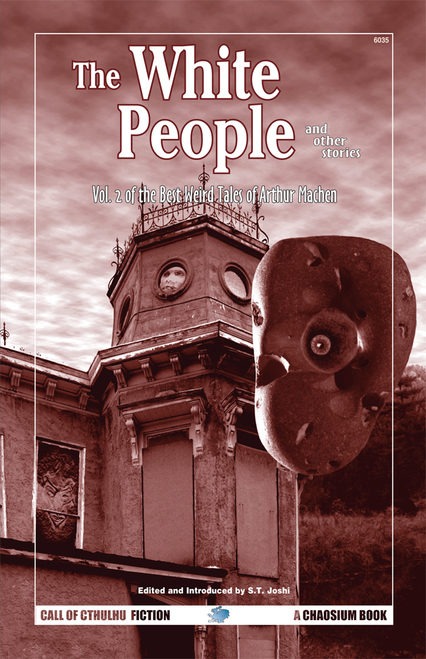 I got some grief when I admitted I'd read nothing by Merritt other than "People of the Pit" (in Jeff and Ann VanderMeer's monumental tome, The Weird). I deserved it. 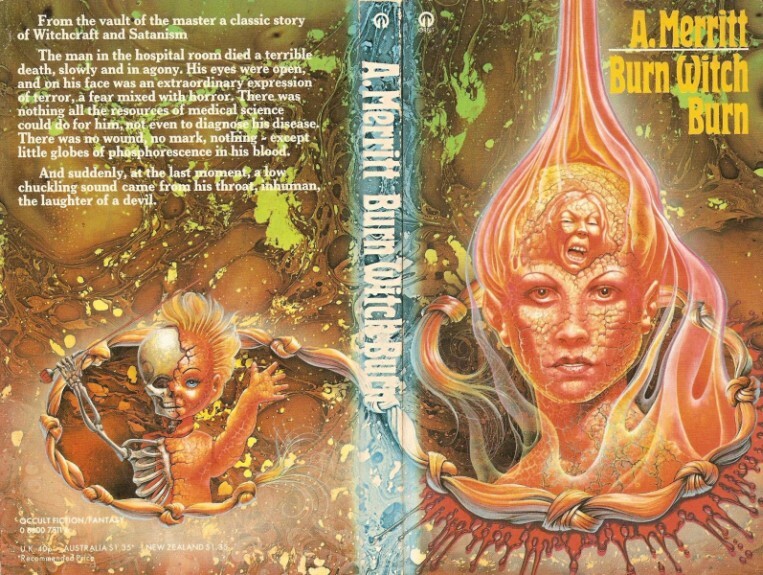 Burn, Witch, Burn isn't the great lost horror novel, but it is a very, very good one. 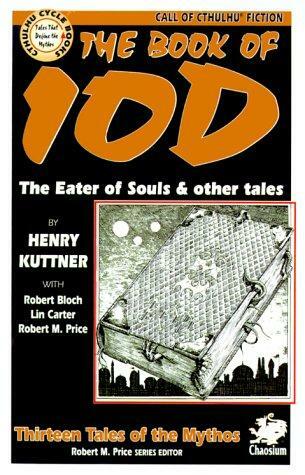 If you haven't read it, it's easiest enough to come by, including for free from Project Gutenberg Australia. 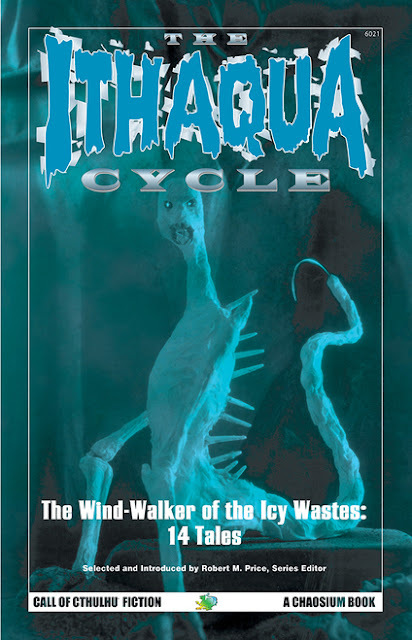 I'm not sure if I'll ever complete my Chaosium Mythos Fiction Project, something I abandoned after only four posts (not counting an early non-project review I did of the The Scroll of Thoth). 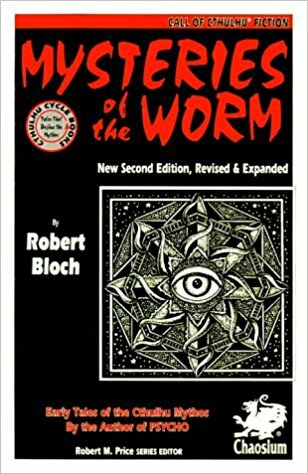 Even though I made it to the most excellent Mysteries of the Worm by Robert Bloch, struggling through the most execrable The Xothic Cycle by Lin Carter knocked the wind and the snot out of me. 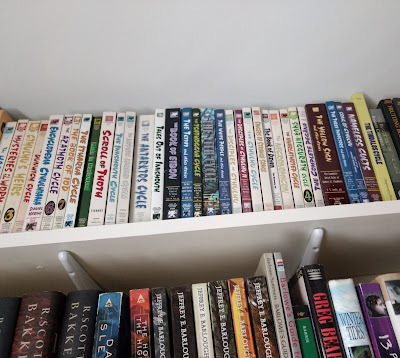 Still, they those books, all 33 of them, call to me, chillingly, enticingly, from their place on the top shelf, every now and then as I walk past them to the attic. 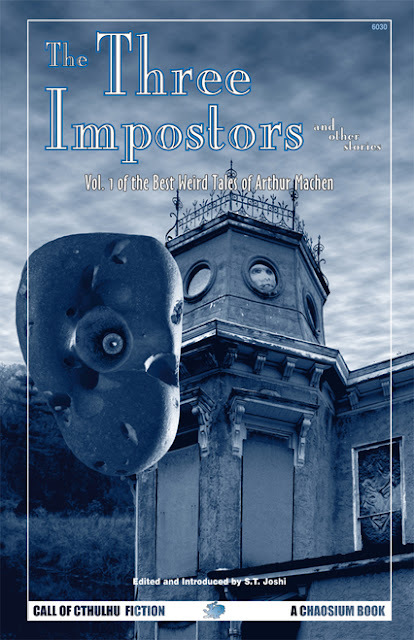 I hear their papery whispers summoning to pull them down and peruse secrets man was not meant to know. 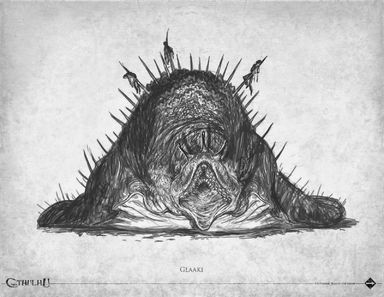 To once again hear the Dhol Chants, wander the streets of Ulthar, and spy upon the towers of Y'ha-nthlei beneath the ocean's waves. You know, the normal stuff books do. Lately, as I've been listening to podcast about HPL, those voices from above have pulled with a little more vigor. Some of the collections are really very good; especially the ones inspired by Ramsey Campbell and Brian Lumley's Mythos stories. There's a lot of dross between those covers, but there's also some really top-grade stuff, some of it by people no one's ever heard of. I'd really like to go back to the project, but we'll have to see what happens. 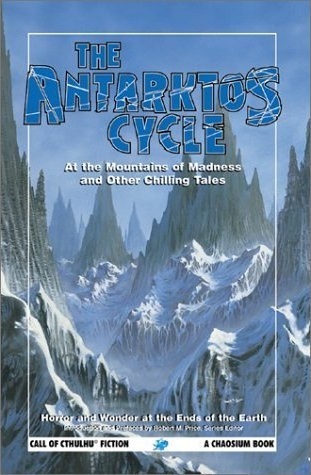 Robert Price and all the other editors did a really good job scouring the world for great stories. 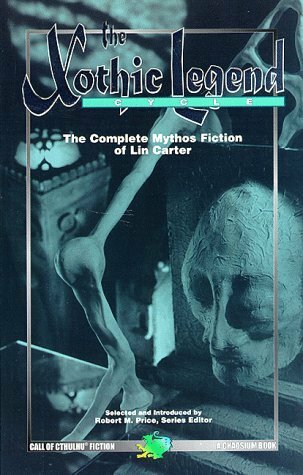 A lot of the bad stuff, especially in Price's volumes also arises from the desire to present a complete history of Mythos fiction, meaning whether you want it or not, August Derleth's and Lin Carter's stories get included. 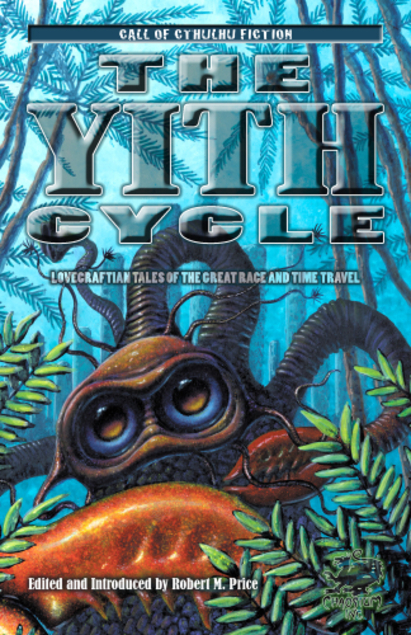 Like 'em or not, they're important to the development of Mythos fiction as its own genre. It doesn't just stop there, though. 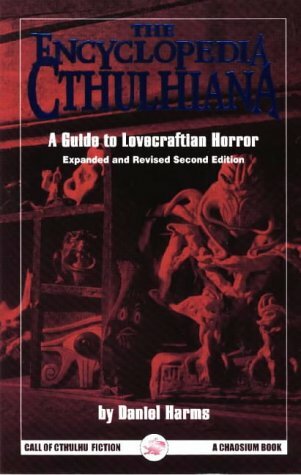 Price in particular was intent on using the collection he put together to explore Lovecraft's fiction as part of a greater context that stretches before and after his stories. For an full example of what I mean, read the post on The Hastur Cycle. 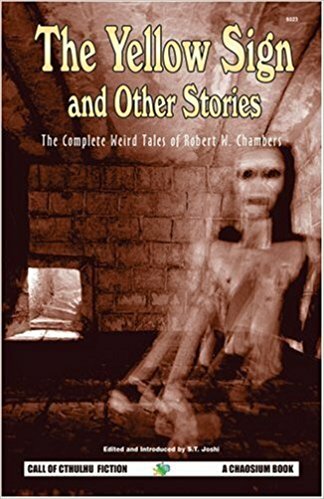 Price includes writing from Ambrose Bierce, Arthur Machen, and Robert Chambers and shows exactly where some of HPL's ideas and names came from. 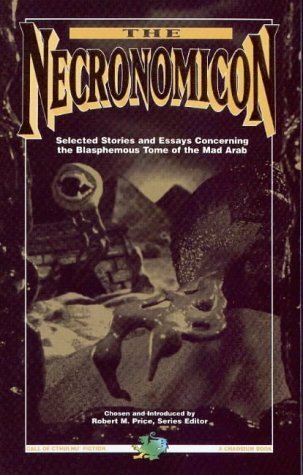 I don't agree with everything he says, but in the scheme of Mythos fiction, they're important collections and his arguments bear listening to. 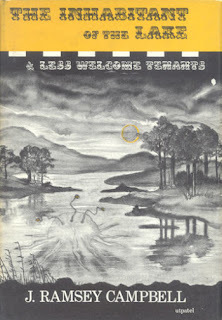 The Covers: The early releases' covers were by Dreyfus, aka Andrew Caines. They're not bad, but not anything we haven't seen before. 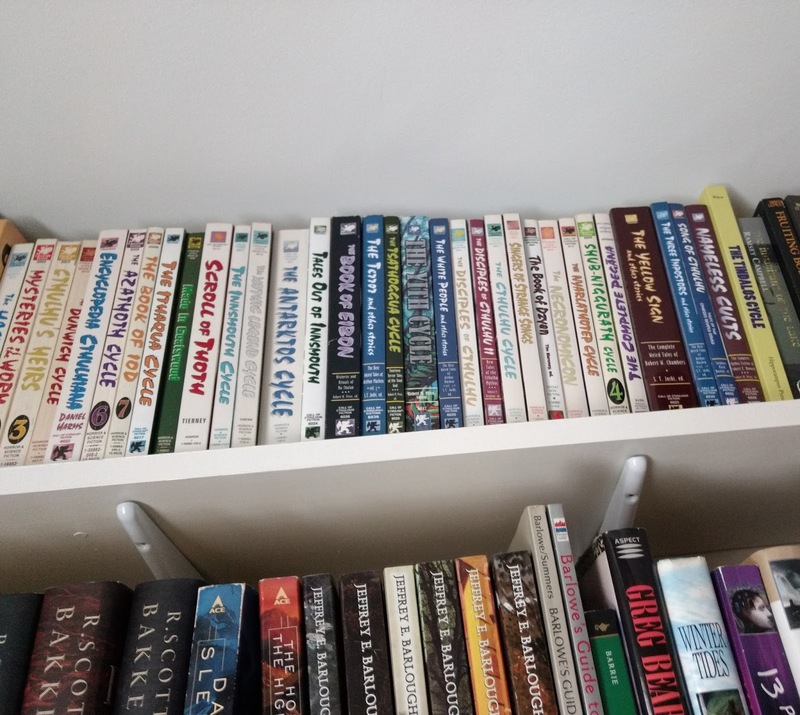 They made the books look more like gaming supplements than fiction. 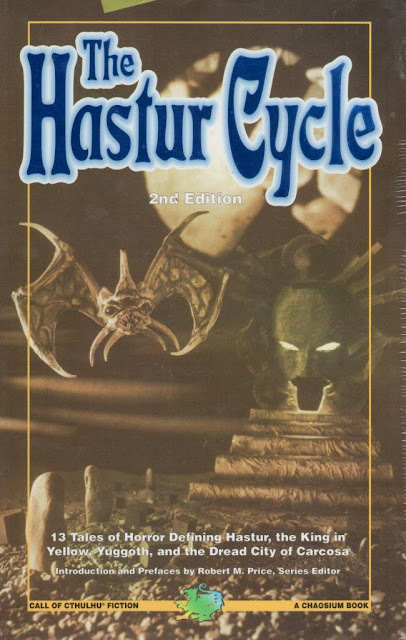 It was with the later edition covers by H. E. Fassl that the series took on a distinctive look. I don't know what techniques he employed. It looks like he sculpted sets and figures and made dioramas he then photographed. 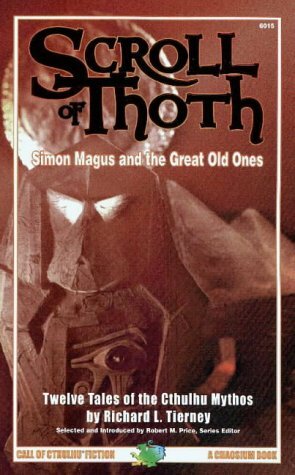 The sculpted pieces remind me of Clark Ashton Smith's creations. 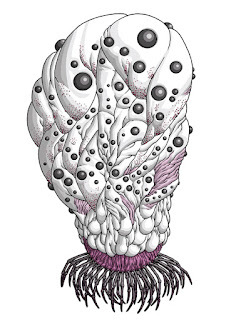 However he did them, they possess an eerie, organic quality that is deeply weird. They're a far cry from the pulpiness of the first covers or the later one. 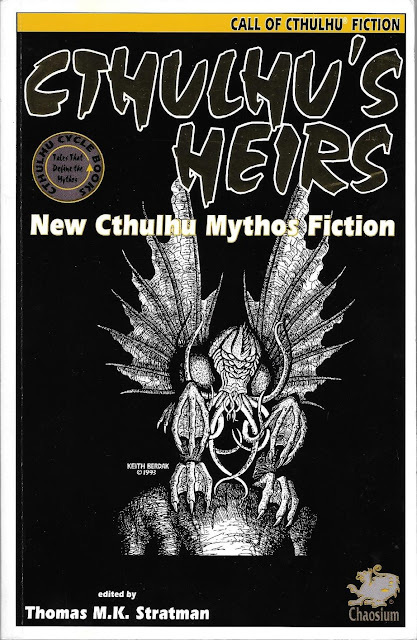 Instead, Fassl's work looks to the surrealness of Mythos fiction. 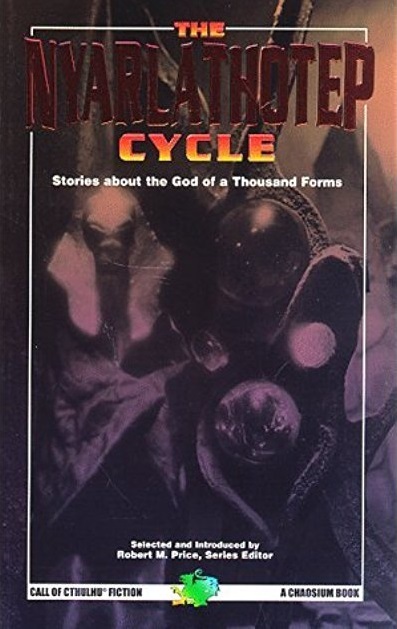 Funny enough, though, my favorite is one that doesn't appear to be a diorama: Nameless Cults. Just what the heck is that screaming mouth mounted on, an egg? Very, very freaky. It's a shame they weren't able to have him do all the covers and give the entire series a unified, and very particular look.